Galloway Township is seeking a part-time Planning and Zoning Board Secretary. 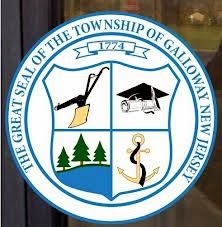 Galloway Township placed the advertisement on the New Jersey League of Municipalities Website. P/T PLANNING AND ZONING BOARD SECRETARY – GALLOWAY TOWNSHIP is currently accepting applications for a part-time Planning and Zoning Board Secretary. Previous experience preferred, but not required. Approximately 21 hours per week. Must be available to work 2 to 3 evening meetings per month. Salary DOQ. Send resumes to aliston@gtnj.org by December 10, 2013. EOE. Ad Posted November 26, 2013. Ad Removed, December 26, 2013. Pamela Alleyne currently serves as the Secretary to both Boards. Alleyne served previously in a full-time capacity until her position was part of Galloway's reduction in staff from 2012-2013, making the position now part-time. Individuals interested in the position are asked to send resumes to Township Manager Arch Liston. I'm sure someone in the Purdy family is qualified for this position!